The Laser Institute of America (LIA) recently announced its new Board of Directors at the 37th International Congress on Applications of Lasers and Electro-Optics (ICALEO) in October 2018. Gilbert Haas will be serving as LIA's new President for 2019, along with Henrikki Pantsar as Secretary, and Lucian Hand as Treasurer. As Founder of Haas Laser Technologies, Haas brings with him more than 25 years of leadership and industry experience to LIA. Eleven Board Members have also been elected for the 2019-2021 term. The new Board will have the privilege of partaking in several exciting developments in the upcoming months. LIA will be focusing on a new marketing approach to boost its digital footprint to promote future activities. Additionally, LIA looks to restructure the membership and recruitment process and plans to provide online access to laser safety training courses to boost and enhance accessibility. Milan Brandt, outgoing President of LIA, is optimistic: "These new initiatives will continue to move LIA in the right direction so we are ready to face 2019 and the future beyond with confidence." ICALEO 2018 itself was a groundbreaking milestone. LIA celebrated its 50th anniversary with a record attendance of 350 industrial laser processing practitioners and educators from twenty-three countries around the world. LIA Executive Director Nat Quick praised ICALEO 2018 for "introducing new concepts including focused panel discussions and a session focused on semiconductor and IC technology." Quick also highlighted how ICALEO 2018 served as a platform for "redefining the role of LIA in supporting and developing Additive Manufacturing". To build on ICALEO 2018's success, LIA now looks forward to the International Laser Safety Conference (ILSC), which runs from March 18th to 21st, 2019. The comprehensive four-day conference will include scientific sessions and Practical Applications Seminars (PAS) that cover all aspects of laser safety practice and hazard control. To round off the year, ILSC will be followed by the highly anticipated annual "super conference" in October 2019. 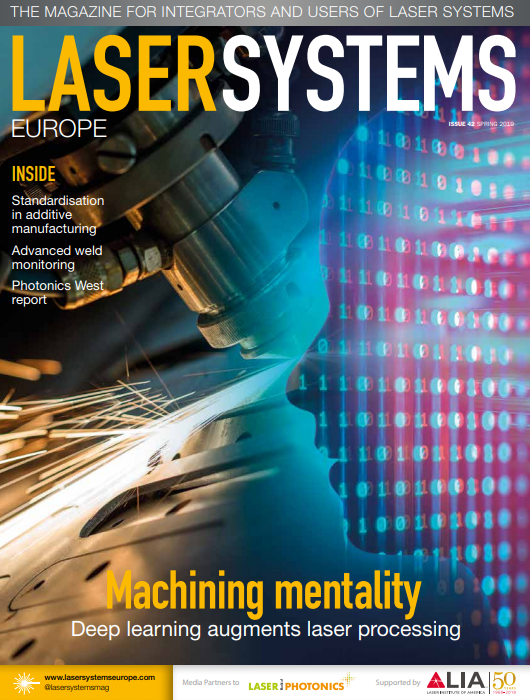 The first of its kind, the conference will incorporate LIA's top primary applications events: ICALEO, the Laser Additive Manufacturing Conference (LAM), and the Lasers for Manufacturing Event (LME). The four-day conference will focus on the automotive, aerospace, microelectronics/integrated circuits, and medical equipment/biotechnology sectors. Academic sessions, trade shows, and numerous panel discussions and presentations will provide dynamic outlets for sponsors, vendors, and participants to discuss and find cutting edge solutions to the industry's leading challenges. Tickets for LIA's upcoming conferences, including the ILSC in March 2019, can be purchased via the following official link, with discounts available for LIA Members and students: www.lia.org/conferences.